Welcome back, Kids in the Hall. What kind of self respecting nerd would I be if I didn’t write the obligatory blog post about the upcoming SDCC. Someday, I’ll be ballsy enough to actually take a trip out to this mecca of all things geek, and experience the oily mess myself first hand. Until then however, I have to sit with baited breath waiting for the various geek websites I frequent to start posting pictures and news from the various reveals. But that begs the bigger question: Which reveals have I, personally, really been looking forward to seeing? Well, true believers, wonder no more as I’m about to lay it on you thicker than a triple malted milkshake. I know this one is kind of cheating. It’s not exactly a reveal that will be occurring at the SDCC. However, when Super7 first started preorders for the Heroic Warriors’ robotic stallion back in the spring, they said they would be delivering the items after they wrapped up SDCC. So in essence, this technically is an item that will be revealed to at least me after this big ol’ comic event closes its doors, so I’m putting it on the list. As someone that swore up and down to his wife that he was done with everything MOTU Classics, that he had all the figures, vehicles, play sets, everything he could want from that line, it turns out I’m a terrible terrible liar. I think it started when I finally got myself a Roton last Christmas when Mattel was selling their remaining stock of the toy through Wal-mart.com for 50 bucks verses the original 125 buck asking price. They also had a Night Stalker which was the evil version of Stridor, meant for the unsavory likes of such villains as Jitsu or Strong-Arm. And for a while I had that item in my cart too, but in the end thought better of it, because as that little annoying voice of reason in the back of my head said “You really don’t want a Night Stalker, Andrew. You really want a Stridor. Why are you wasting your money on the toy that isn’t really what you want?” So I quietly punched myself in the leg and put it back on the virtual shelf. And then a couple months later, Super 7 posted that they were taking preorders for the very exact toy that I had stopped myself from purchasing a Night Stalker for. It’s like they knew. They had the house bugged. They said, “Give us your money, Mr. Larson.” And like the Temple of Doom, I drank their Blood of Kali and went into a mindless trance of nerd purchasing. So once again, MOTU Classics has pulled me back into their web of doom just when I thought I had gotten out. Honest to God, if Super 7 says they are releasing an Attack Trak next, I’ll cry. Yes, tears of joy, but I’ll cry none the less. Damn You, Super 7, and your delicious toys. That’s right. The long running Adventure Time series is coming to an end sometime here in 2018. I was sort of a Johnny come lately on this cartoon phenomenon, not really getting into it until the beginning of season 6. However once I did, I gotta say I became obsessed. It became “Must See” TV for me every time there was a new episode in a way that few shows have in the past 10 years. I used to need to watch it in dead silence so that I didn’t miss anything just in case there was an strange reference to their incredible rich mythology/backstory that would fill in a gap somewhere. Plus it was a perfect show for me in the fact that episodes were only like 10 minutes long, so for a dad with young kids that couldn’t invest hours of TV time, it became my little quick fix of greatness. Something to watch while eating a peanut butter and jelly sandwich really quick for lunch or something. Since then, my interest has somewhat waned, mostly because once they announced the series would be coming to an end in 2018 a couple years back, they started tying up a lot of story loose ends with almost clockwork precision. Although that lead to some of the most satisfying episodes to date, such as the Islands series, or the Skyhooks saga, once the episodes were over, it left you with an empty sensation, as if the magic and excitement had been drained from you in the watching. Maybe I’m the type of guy that the anticipation is always better than the actual delivery, and that I have a hard time letting go, so to see something end is always a depressing thought. 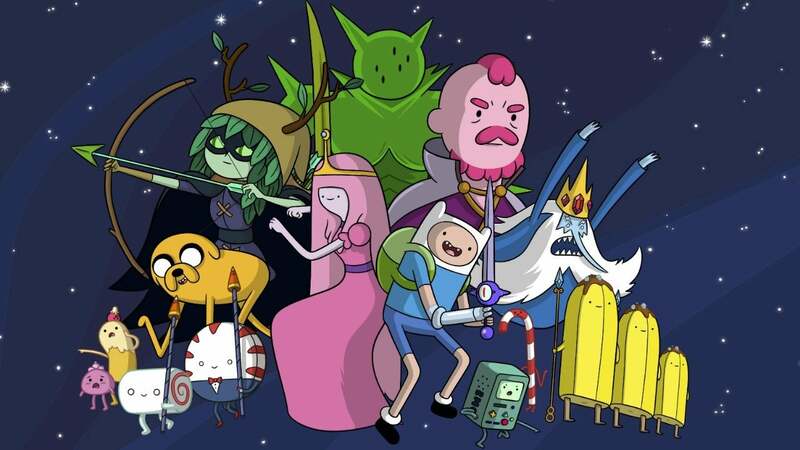 Regardless, it looks like Adventure Time will have one last hurrah at SDCC this year as both a retrospective on the series as a whole and to set the stage for the final set of episodes detailing a war that will unite all of the characters past and present for one final brewhaha. I’m not sure if that’s going to tie up all lingering questions as Finn becomes an adult finally in the midst of this battle that might destroy the Land of Ooo, but for those of us that have been paying attention, thanks to the Grayble episodes we sort of already know the future of this place. I just hope Ice King and Betty have a chance to reconcile and Finn finally finds a girlfriend that he can grow old with. I’m not sure what it exactly says about me that some of the biggest TV shows I’m looking forward to hearing about at SDCC are cartoons. However, to my credit at least I’m consistent as it’s been the same way for years. Whether it was Star Wars: Rebels, the aforementioned Adventure Time, or the new batch of Marvel cartoons, I’ve always waited with baited breath for the latest news on these animated adventurers. Ducktales was a show I was over the moon with anticipation over when it was first revealed at last years SDCC. This was mainly because they teased the notion that they could also be bringing back Darkwing Duck at least as a cameo in the series. One year later, the show has been terrific with a lot of modern day sensibilities while at the same time being true to the original Carl Banks Duckuniverse mantra of high adventure mixed with smart comedy . However the biggest problem is with their scheduling and release of new episodes, which has been terribly inconsistent. After the first 8 episodes or so, many months went by without any news to the point where although I saw news that they had been already renewed for a second season, I thought they cancelled this show. But after a long time, they recently resurfaced with some new episodes including the promised Darkwing Duck cameo. (that it was a TV show within a TV show was an interesting take on the whole franchise from a metafictional sense). 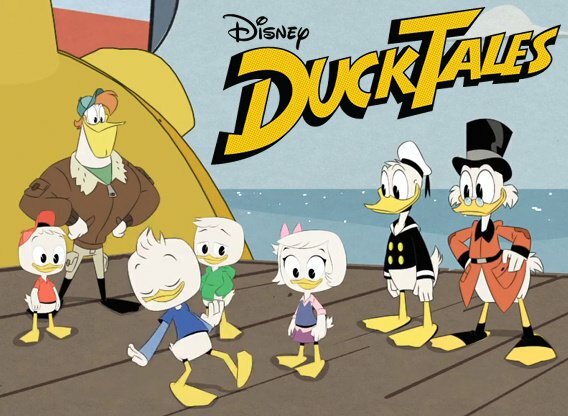 Now with the addition of Gizmo Duck, Magicia Despell, and the on going story of Donald Duck’s sister, Della, who mysteriously disappeared leaving the nephews (Huey, Dewey, and Louie) with their uncle, this show definitely has the wings to really take off with a second season. Here’s hoping we hear more about what kind of plans that will entail with this SDCC panel this year. I’m just hoping for more Darkwing Duck as I won’t be happy until him and Launchpad get dangerous together at least once. As the token non cartoon related show on this list, I’m sure there are a lot of you out there that have mixed feelings about including the Iron Fist TV show as something I would look forward to. Mainly because most of you out there either hated or at the very best were indifferent about season 1. I want to go on record saying that so was I. I thought it was too long, had terrible fight sequences for a series that was supposed about martial arts, and Danny Rand was a whiny unlikable guy for the most part. So it was a slog at times for me, I mean come on, he kept on saying he fought a dragon, where was the f*cking dragon!?! And I swear if I saw Harold Meachum star creepily at the camera before calling Ward a douche bag again, I was going to start hucking my pork fried rice at the TV. However, I will also go on record saying that the major reason I thought the first season was somewhat of a disaster, was not because of the source material but the overall production/show runner Scott Buck. Turns out I was right, as Scotty went on to also do the Inhumans TV Show which was another unmitigated disaster for Marvel Studios. But given that one was done for ABC and was a lot more high profile, you can bet your sweet boots, that the powers that be saw the writing on the wall and canned Mr. Buck from doing anything else for them. Season 2 brings in some fresh blood with Raven Metzner serving as showrunner. Some of you might recognize Mr. Metzner has one of the guys involved with the Fox cult classic show, Sleepy Hollow. I was a fan of that show, so I feel like season 2 is already on more solid footing. Plus evidently, he got the blessing from the Marvel higher ups by “wowing” them with some fantastic story premise for season 2, so maybe it was truly something worthy of making people stand up and take notice. I wasn’t one of those that said Finn Jones wasn’t the right actor to play Iron Fist, I just think he wasn’t given the right scripts, direction, or tone to actually succeed at playing the part. And all I know is that I watched Danny Rand in both Defenders and in Luke Cage season 2. They both portray an Iron Fist which is infinitely more likeable and more importantly watchable. So that reinforced the idea that all Finn Jones and all the other actors involved needed was a better “show” to work for, which here’s hoping season 2 will deliver on. More than any other characters I really wanted the Luke Cage and Iron Fist shows to work, because I thought that was the only way I’d eventually get a Heroes for Hire show. If Iron Fist season 2 is another dud, they might have no other option than to stick Iron Fist into season 3 of Luke Cage and let him ride the coat tails for a bit. Or I dunno, just scrap both solo series and finally put them together for an entire season. I mean, the duo has always been more popular than either on their own. But what do I know? I’m just a guy that read them religiously for years. I know, I know. More Super 7 MOTU releases on my list. Just like the olden days when the Mattycollector entries would dominate my previous SDCC lists, I feel like Super 7 has just replaced them as my pusher for my constant He-man toy related cocaine fixes. But this one is something definitely worthy of the power! Ever since Super 7 had the brilliant idea of releasing classic He-man figures in the Kenner Star Wars style packaging, scale, and articulation, I’ve thought it was a slam dunk of a concept, and eagerly bought nearly all of the figure offerings. My main reason being is that unlike the MOTU Classic figures, these 4 inch Kenner style figures are just the right scale for the MOTU Classic Castle Grayskull playset. You see, Castle Grayskull should be huge compared to the figures, I mean, after all it is a friggin’ castle. And yet if you play with the MOTU classic figures or even the original MOTU figures, it can’t help but feel incredibly cramped. Like one room apartment in NYC cramped, no elbow room, figures towering over each other, fighting for enough room to sneeze, let alone battle for the fate of the universe. I originally solved this problem by custom converting a bunch of Imaginext figures into MOTU versions, which I gotta say did the trick for the most part in giving me and my kids the appropriate scale in which to really have wonderful adventures with that play set. However, there were still some issues, like the throne is enormous for that scale, and most importantly, although I managed to cobble together a lot of the essential characters of that line through Imaginext customs, I’m still held in check by the fact that I’m going to eventually run out of figures I physically can make due to some of the funky designs of some of the He-man characters. Enter this 4 inch line by Super7 and the fact that they are not only doing all the work for me in terms of awesome figures, but they keep coming out with more. This year alone I added a Orko, Ram-man, Evil Lyn, and best of all a Mekaneck to my collection, and as long as they don’t sell out of these Hordak/She-ra two packs at the Con, I’ll have a couple more to add to that collection. Especially the She-ra, as that’s my daughters favorite character so I’m sure she’ll squee to finally have a Princess of Power when she and my son have their Eternian adventures! Now if they will only make a couple vehicles in this scale, like at least Battle Cat with the Kenner Tauntaun style flip open hole on the back to allow for figure riding. OOOOHHH! That would be ‘da best!